Our masters class was invited to develop and present an exhibition of pieces designed for an apartment in Le Corbuiser’s legendary Cité Radieuse. The work was developed specifically for Appartement 50, the preserved and protected appartement within the Unité d’Habitation in Marseille, France. 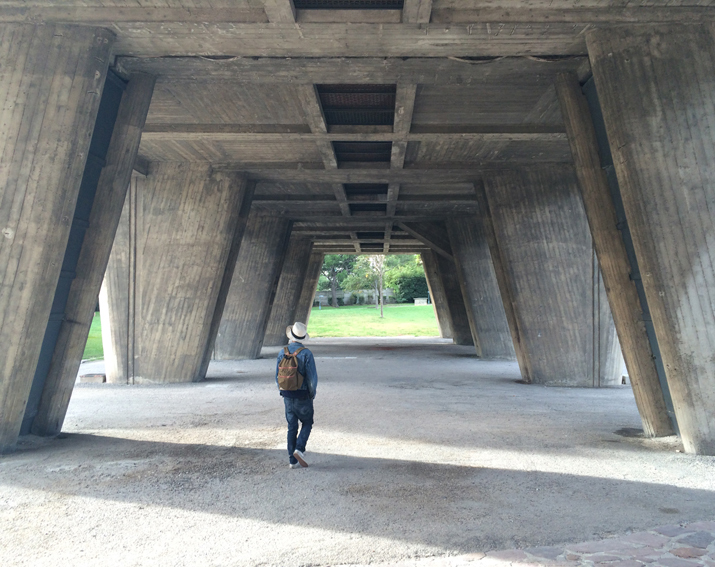 We began with vast research of Le Corbusier, his work and his life, and in the fall of 2014 we visited the monumental building, the first of his large housing developments, meant to be a total living structure, providing all its inhabitants need. Pilotis is a set of vases inspired by the pillars supporting the building.